Substrate Pretreatment: The Key to Effective Enzymatic Hydrolysis of Lignocellulosics? Although the structure and function of cellulase systems continue to be the subject of intense research, it is widely acknowledged that the rate and extent of the cellulolytic hydrolysis of lignocellulosic substrates is influenced not only by the effectiveness of the enzymes but also by the chemical, physical and morphological characteristics of the heterogeneous lignocellulosic substrates. Although strategies such as site-directed mutagenesis or directed evolution have been successfully employed to improve cellulase properties such as binding affinity, catalytic activity and thermostability, complementary goals that we and other groups have studied have been the determination of which substrate characteristics are responsible for limiting hydrolysis and the development of pretreatment methods that maximize substrate accessibility to the cellulase complex. Over the last few years we have looked at the various lignocellulosic substrate characteristics at the fiber, fibril and microfibril level that have been modified during pretreatment and subsequent hydrolysis. 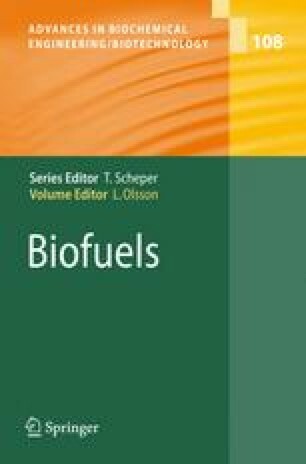 The initial characteristics of the woody biomass and the effect of subsequent pretreatment play a significant role on the development of substrate properties, which in turn govern the efficacy of enzymatic hydrolysis. Focusing particularly on steam pretreatment, this review examines the influence that pretreatment conditions have on substrate characteristics such as lignin and hemicellulose content, crystallinity, degree of polymerization and specific surface, and the resulting implications for effective hydrolysis by cellulases.